Is a Start-up Right for You? Join us in speaking with CEOs and employees of local start-ups and larger companies to hear how they came to their decision of joining or not joining the start-up world in different phases of their lives. Our panelists have experience working for or founding a start-up as well as have experience working for larger corporations. 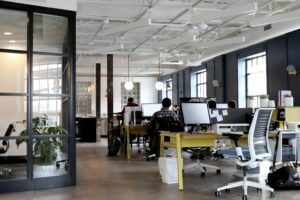 They will discuss the factors considered while making their career path transitions in and out of start-ups: company stage, culture, team organization, technologies, and personal preferences. In turn, you will learn what signs to look for when assessing whether or not to make the start-up move! After completing her undergraduate degree at College of the Holy Cross in chemistry, she attended Boston University to pursue her doctorate. Stacy’s research background is composed of polymer science, biochemistry, and biomaterials. She is the lead inventor of several patents and has published multiple research articles. Stacy is the CEO and co-founder of HydroGlyde Coatings- a BU spinout that started from a Bill and Melinda Gates Foundation grant. To date, she secured over $1.4M in grant funding from the NIH SBIR program (Phase I and II), MA Life Sciences Center, MassRamp Award, MTTC Seed Innovation Award, and BU BuzzLab Summer Accelerator. Stacy was recognized for her research achievements through the Fieldman Award and the Laursen Research Fellowship. She was named the Entrepreneur of the Year by the Worcester Chamber of Commerce (2018) and was a Female Founder Fellow from The Capital Network. 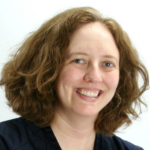 Stacy holds an HBX credential from Harvard Business School, is a MA AWIS board member, and sits on SBIR review panels. 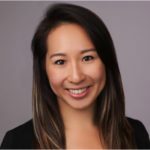 Anh is a co-founder and Chief Science Officer of Sofregen Medical, an early commercial stage company focused on leveraging silk protein to develop products to empower physicians to not just treat but to restore soft tissue volume defects. Under her leadership, the company received two FDA clearances fro the use of silk in soft tissue support — including the first FDA cleared project made from reconstituted silk protein, pioneered at Tufts University, to restore phonation to the vocal fold. Sofregen is currently working to expand their pipeline into medical aesthetic to include a tissue filler with the promise of regenerating lost tissue volume associated with aging. 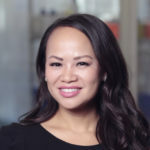 Prior to Sofregen, Anh was a research fellow at Harvard Medical School where they worked to develop an on-chip platform for the detection and molecular probing of infectious diseases and breast cancer. She received her PhD in Materials Sciences from Vanderbilt University. 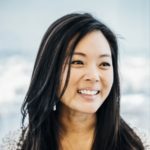 Outside of work, Anh is a lecturer for the Biomedical Engineering Department at Tufts University, serves on the Massachusetts Biotechnology Council’s Medical Device Advisory Board, serves on the leadership board at Mount Holyoke College, and is a recipient of the 2018 Medtech Boston 40 under 40 Healthcare Innovator award. Madlene Dole is the Head of Clinical Quality for the Novartis Institutes for Biomedical Research (NIBR). Madlene has been in the Pharmaceutical Industry for 15+ years and has developed broad experience covering various areas of the business including IT, Supply Chain, Chemical Manufacturing, and Program Management. Madlene has also developed and led the holistic cross-functional Data Integrity Program for Novartis. She has extensive experience driving quality culture, as well as organizational and process improvements and is passionate about bringing scientific and clinical innovation to patients. Madlene holds a Master’s degree in Pharmacology from Duke University and is a Swiss-American dual citizen. She is married with two children and is currently training for the Boston Marathon (her first) to raise money for research at the Dana-Farber Cancer Institute. 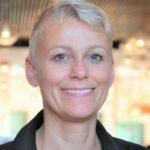 Lynnelle Pittet is currently Senior Director, Alliance and Program Management at Wave Life Sciences, where she is responsible for leading and developing the Alliance Management function. She is the alliance manager for Wave’s collaborations with Pfizer (hepatic diseases), Takeda (neurological diseases), and Deep Genomics (artificial intelligence to identify novel therapies for neuromuscular diseases). Lynnelle is passionate about working with others to develop novel drugs and treatments for patients. Previously, Lynnelle worked at Cerulean Pharma as Director of Program and Alliance Management, Epizyme as Senior Manager of Alliance and Program Management, and Selecta Biosciences as a Senior Scientist. In addition, Lynnelle taught at Simmons College, Harvard University, and Montana State University. Lynnelle has a PhD in Veterinary Molecular Biology (now Microbiology and Immunology) from Montana State University, a MBA from Simmons College, and a BA in Biology (minor in Chemistry) from Whitman College. She completed her postdoctoral fellowship at Harvard School of Public Health and Boston University School of Medicine. Lynnelle has been an active AWIS member since 2007. She has participated in the MASS AWIS mentoring program as both a mentee and a mentor. She was co-chair of the MASS AWIS Events Committee in 2010 and Vice President of the chapter in 2011. Jeni is a Senior Associate with Novo Ventures, a dedicated life sciences investment firm headquartered in Copenhagen, Denmark. The firm focuses on therapeutics, medtech, diagnostics, and digital health investments. As a Senior Associate on the ventures team, Jeni assesses investment opportunities spanning oncology to autoimmune and rare diseases, taking a deep dive into the science and clinical data and assessing the market opportunity and competitive considerations for early stage companies. Jeni currently serves as a Board Observer for Inozyme, a preclinical rare disease company focused on diseases of calcification. Jeni earned her PhD in Biomedical Engineering with a Designated Emphasis in Biotechnology from the University of California, Davis, where she studied functional cartilage tissue engineering. While at Davis, Jeni was a co-founder of ViVita Technologies, a cardiovascular-focused medtech startup. She received her BS in Bioengineering from the University of California, Berkeley. Jeni volunteers with the New England Venture Network (NEVN), a young professionals organization for aspiring venture capitalists, as well as the Breaking 7% network to promote women in venture capital.